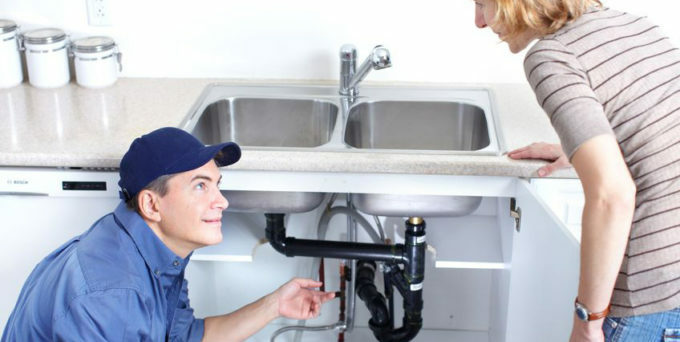 You may not require the services of a plumber on a daily basis but on those occasions when you do, it is important to ensure that the people you hire are reliable, trustworthy, affordable, and most importantly, capable of performing the work in question to exceptionally high standards. At Peter Stannard Plumbing, we pride ourselves on our ability to meet all of our customers’ needs at very competitive prices and our team is comprised of talented and experienced individuals. We hope it goes without saying that every member of our team also holds professional qualifications and is fully licensed to carry out the work they perform on a day-to-day basis. We cover the area from Rockingham in the south, all the way up to Joondalup in the north, including all parts of the city of Perth itself. Wherever you are located and whatever your needs, please do not hesitate to get in touch and let us know what we can do for you. In addition to being one of the area’s leading providers of quality plumbing services in Perth, we are also one of the most responsive firms as far as emergency requests are concerned. If you have a problem that cannot wait, feel free to call us at any time: we will send one of our experienced plumbers to take care of the problem without delay. Residential and Commercial Plumbing Perth – We are first and foremost a team of experienced plumbers in Perth who take our work very seriously. As fully qualified professionals with a first-class reputation to uphold, we know what our clients expect of us and we always deliver. Whether you have a blocked drain that requires our urgent attention or you are considering a full-on bathroom renovation that is going to involve some major plumbing alterations, we can take care of it for you. We also offer an emergency service for burst pipes and other repair work where time really is of the essence. Gas – We offer a range of gas services, but specialise in the installation of new appliances, along with the detection and repair of gas leaks. If you need a Perth plumber who can install and maintain a new gas hot water system for you, we are the firm you should contact first. Hot Water Systems Perth – While we are on the subject, we deal with all types of hot water systems, for both domestic and business customers in the city and suburbs. Our hot water installation and repair team is second to none and, in addition to dealing with conventional systems, have a great deal of expertise with vacuum tube solar hot water installations. Air Conditioning – Unlike many firms whose services are focused on plumbing in Perth, we also have a team of technicians who specialise in evaporative cooling and refrigerated air-con equipment. Whether you need your existing units serviced or you would like to discuss the installation of new equipment to ensure that your home is pleasantly cool next summer, we can carry out all the necessary work at prices you are sure to appreciate. We offer a repair service too so if your current units are not as effective as they used to be, we can have a look at them for you and find out what the problem is. Bathroom Renovations – If you are looking for a plumber in south Perth who can take care of all the electrical, plumbing, and gas work that a major bathroom renovation entails, call Peter Stannard today. 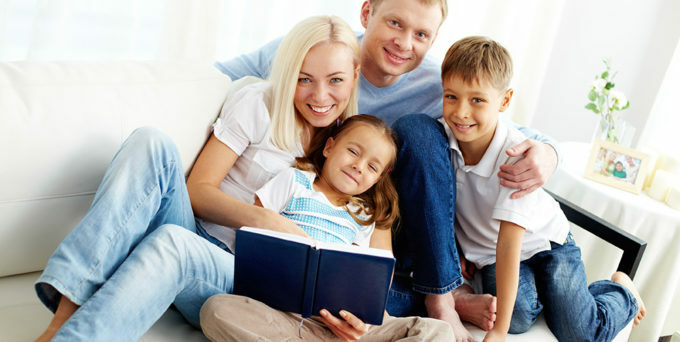 We also offer this service throughout our regular coverage area, i.e. from Rockingham to Joondalup and all points between. In addition to handling all of the aforementioned work, we offer a turnkey service for those who are interested. We can design the layout for your new bathroom, perform all of the electrical, plumbing, and gas work that needs to be done, install all the fixtures and fittings you require, and handle any necessary local authority approvals too. All you need to do is tell us what you want and how much you are happy to spend. Kitchen Renovations – Our electrical, gas, and plumbing renovation experts are available to help with kitchen renovations as well. Our services in this field include the fitting of all plumbing fixtures found in the kitchen, the installation of electric and gas appliances, and any other electric, gas, or plumbing work that may be required during the renovation. We can also assemble and fit your prefabricated kitchen units if you desire. Starting out as strictly local plumbers in Perth southern suburbs, we gradually expanded our services over the years to encompass our current area of coverage and, as we have expanded, we have gained many new friends and loyal customers. Nowadays, you are just as likely to see our plumbers in Perth northern suburbs as you are to see them in the south of the city (and even further afield at times). Throughout this period of expansion, our primary goal was never to compromise on the quality of service that existing customers received and we are very happy to say that we managed to achieve this goal. It is thanks to the dedication and commitment of every member of our professional team that we were able to maintain our high standards at all times, and become widely recognised as one of the best domestic and commercial plumbers in Perth in the process. However, we are not the kind of people to rest on our laurels so you can be sure that whenever you hire us to work in your home or business premises, we will show you just why so many of our customers refuse to consider using another plumber in Perth. We hope to hear from you in the near future and look forward to serving you in any way that we can. 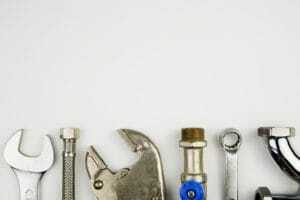 You never know when you are going to require the services of a plumber in Perth. But one thing is certain: when plumbing problems arise, they need to be dealt with right away. There’s no time to waste trying to find a local provider who operates in your area. Instead, you need a plumber in Perth who is ready to come to your property at a moment’s notice. Thanks to Peter Stannard, your days of searching for a plumber are over. Our industry certified plumbers serve the entire Perth metropolitan area – from the CBD to the outlying suburbs. Our team is available Monday to Friday from 7:30 am to 4:30 pm for standard plumbing work. But we also maintain a round-the- clock emergency service. If you’re experiencing a hot water outage, a blocked drain or a burst main, there’s no need worrying over who you’re going to turn to. Peter Stannard Plumbing, Gas and Air-Conditioning is standing by to assist. Give us a call any time of day, and we’ll dispatch an emergency plumber to your property in Perth. At Peter Stannard Plumbing, we strive to deliver more than an efficient and reliable plumbing service. We also go out of our way to deliver the best customer service of any plumber in Perth. We understand that our customers are often in a stressful situation when they turn to us. Whether they’re in the process of completing a kitchen remodelling job or dealing with an unexpected burst pipe – the last thing they need to endure is a discourteous service provider. We take pride in our ability to meet and even exceed customers’ expectations. And we do so at a highly competitive price point. When you book an appointment with Peter Stannard, our team of fully licensed, professional plumbers in Perth will arrive on time and fully equipped to complete the task at hand. And when the job is done, they’ll leave the site clean and tidy. It’s our goal to provide nothing short of the best customer service of any plumber in the Perth metropolitan area. Or as our slogan says, we offer the ‘Best Price, Best Quality, Best Service’. Contact us today to learn more or to request an estimate. At Peter Stannard Plumbing, Gas & Air-Conditioning, we may have made a name for ourselves as the most reliable and affordable plumbing service in Perth, but we also offer several additional services beyond routine plumbing installation and repairs. In fact, we can assist with a wide range of property improvement projects. Continuous Hot Water Systems: A reliable hot water system is one of the most important facilities for any property – whether it’s residential or commercial. We offer a variety of solutions in this regard, beginning with standard hot water systems that rely on a storage tank to operate. However, our customers are increasingly enthusiastic about our continuous flowing hot water systems, which use a heat exchanger rather than a storage tank. This offers a much more energy-efficient solution without the need to heat water that isn’t going to be used. This is an environmentally sound option that also translates into lower utility bills. Home Renovation Projects: Peter Stannard Plumbers are often called out to assist Perth property owners with renovation projects – particularly in regards to bathrooms and kitchens. Our team is fully licensed and qualified to assist with everything from installing fixtures to hooking up gas lines for cookers and cooktop ranges. We offer much more than basic plumbing services in this regard, and can even assist with peripheral considerations such as obtaining permits and planning the layout of your new kitchen or bathroom. Gas Services: In addition to standard plumbing services, our team is also qualified to assist with a variety of gas-related services. We specialise in the hook-up and installation of gas-powered accessories – from kitchen appliances to hot water systems. 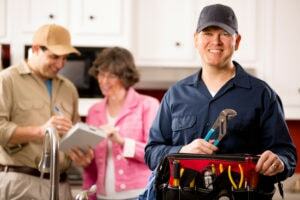 We can offer a full suite of service and repairs for your gas system. Granny Flat Installations: Our team has also assisted several Perth-area homeowners with the construction of new granny flats on their properties. When it comes to fitting granny flats with the proper plumbing and gas in Perth, we have the tools and expertise needed to help complete your project. Air-Conditioning: As our name suggests, we also provide air-conditioning services. Whether you are looking to install new air-conditioning in Perth or are simply in need of maintenance or repairs, we are the team to turn to. There are very few plumbers in the Perth metropolitan area who are also equipped to work on in-home cooling systems, making us one of the most versatile service providers you can hire. 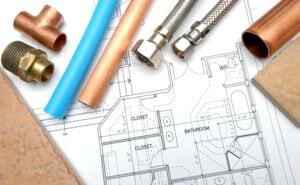 We employ a talented group of specialists at Peter Stannard Plumbing, Gas & Air-Conditioning. If you’re working on your property, there’s really no need to waste time shopping around for various plumbers, electricians and other professionals. Our team can do it all. If it’s a turnkey service you’re after, you’ll find exactly what you’re looking for with us. Imagine what a relief it is to know that one team is taking care of installing all of the major fixtures, appliances, electrical lines, plumbing and gas lines. There’s no need to waste time calling up one provider after another – requesting quotes and ultimately wasting valuable time as you wait to hear back from them. Instead, you can take care of all of this at once by dealing exclusively with Peter Stannard. Life in Perth is a whole simpler thanks to our broad skill set. If you are searching highly qualified commercial plumbers in Perth, then look no further than Peter Stannard Plumbing, Gas & Air-Conditioning. Our world-class reputation speaks for itself. And if there are repair and service jobs you need taken care of at your property, please don’t hesitate to get in touch with us, either through the website or by calling us on 0402 731 795.